I’ve got a lovely bunch of coconuts. Specifically, five. Enjoy! 1. Especially in the UK, what adjective is used to describe shredded coconut, created in a process of removing moisture in order to preserve it? 2. Originally made with coconut milk, name this curried chicken soup in English cuisine, whose name comes from the Tamil for “pepper-water”. 3. 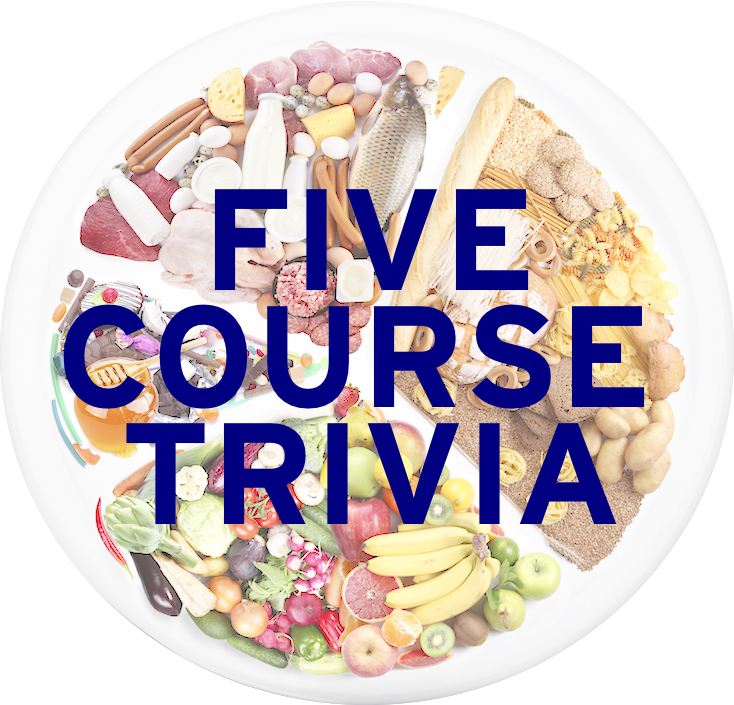 What five-letter word is the dried meat of the coconut used to extract coconut oil? 4. Found in India and Sri Lanka, name this breakfast dish of steamed cylinders of rice layered with coconut. 5. The three main ingredients in a piña colada are coconut milk, and what two others? 6. Besides one wrapper is red and the other blue, name one of the two main differences between the coconut-based candy bars of Almond Joy and Mounds.